With the continuous increase in the number of public and private swimming pools and water facilities in general, such as hot tubs and spa, the number of users increases. The concern about the hygienic conditions in using these facilities and the need for a safe operating environment leads them to find reliable ways of decontaminating the water in which they will swim or relax. The question when one enters the water is to be free of pathogenic microorganisms and if they occur during use to be oxidized or deactivated. The most widely used disinfectant in the pool is chlorine, the effectiveness of which is known worldwide as a means of decontaminating drinking water and not only. In this text, my attempt is not to stop using chlorine as a disinfectant, but to inform the pool audience that it is not enough alone to provide absolute safety to users of water installations. This is because there are pathogenic organisms such as adenovirus, Pseudomonas, Shigella, Legionella, norovirus, Giardia and E. coli oxidized by chlorine but also some like Cryptosporidium that survives in normal chlorinated water for up to 10 days and only with prolonged perchlorination is treated. Therefore, one understands that chlorine is not discarded as an ineffective means of decontaminating water, any other. But we look for a way to deal with pathogens that do not oxidize effectively and directly. 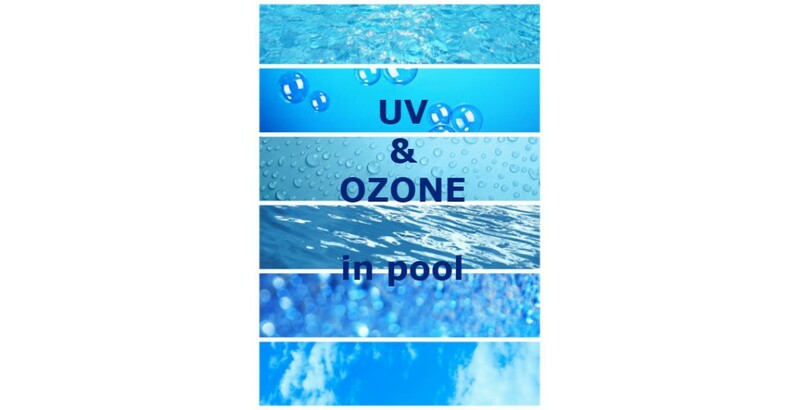 It has been established by Center for Disease Control and Prevention (CDC) studies that secondary decontamination with UV or OZONE in combination with chlorine can successfully ensure users of a water installation from the full spectrum of pathogenic microorganisms that develop there. Among other things, from the application of these methods, a drastic reduction in the amount of necessary chlorine has been observed when OZONE or UV is operated in parallel. The reason why this happens is that water when it passes through UV radiation or comes into contact with OZONE is largely released from its organic load (pathogens) and therefore the demand for chlorine is greatly reduced. How much can not be determined with accuracy, but ranges between 50-80% !! !